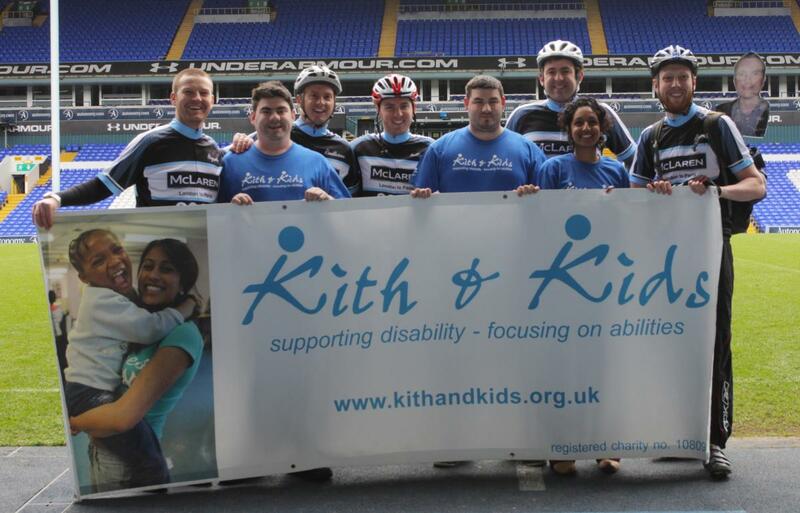 A huge congratulations to the Tottenham site lads who go by the name of the ‘McLaren Cavaliers’ involving David Ross, Joe Bellinger, Darren Hegarty, Rob Tempest and James Randlesome, who completed a charity bike ride from London to Paris for the Kith and Kids charity in Pretoria Road, Tottenham. Jerome Kim, friend and photographer, also rode alongside the McLaren Cavaliers in support of Kith and Kids. The McLaren Cavaliers started from White Hart Lane stadium on Friday 24th May and cycled down to Newhaven on the south coast in the pouring rain. From there they took a ferry to Dieppe in France, travelled through the north of France to Gourney-en-Bray and then on to Paris. The team have raised £3,031 so far therefore have gone beyond their target of £3000. KSS Diamond Drilling raised the most money and also won a signed THFC football shirt. David Ross commented “Firstly the Cavaliers would like to thank everybody who sponsored and supported us however great or small. The money will go toward running the charity’s summer term of weekend clubs, providing severely disabled young people and adults with the opportunity to express themselves and interact socially. For more information and to carry on supporting the team and Kith & Kids, please visit www.justgiving.com/McLaren-Cavaliers to donate.